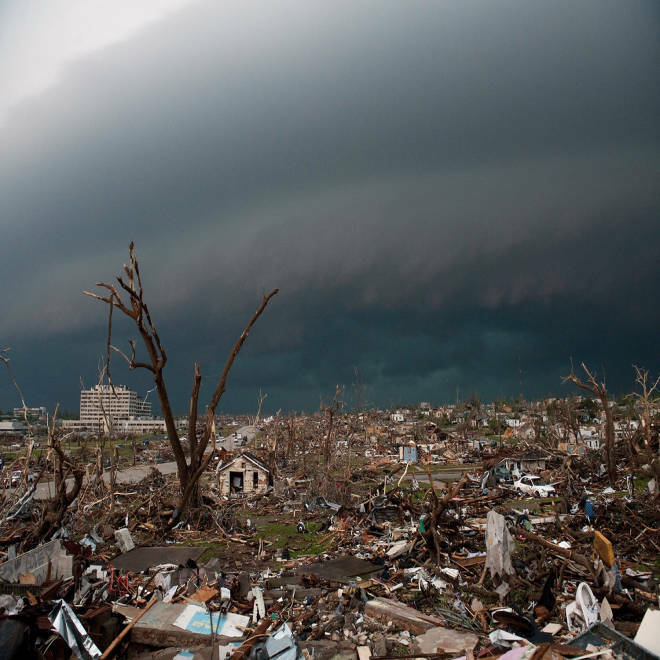 Destroyed homes and debris cover the ground as a second storm moves in on May 23, 2011 in Joplin, Mo. 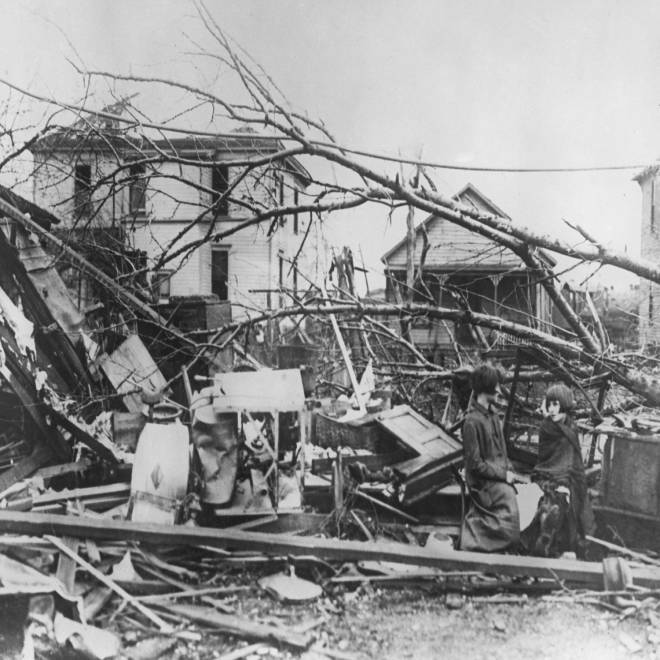 Peak winds, roaring over 200 miles per hour, destroyed the Missouri town, killing 162 people and causing an estimated $2.8 billion in damage, according to the National Weather Service. The Weather Channel's severe weather expert Greg Forbes estimates more than 17,000 people were affected. Nearly two years later, the town is still rebuilding. 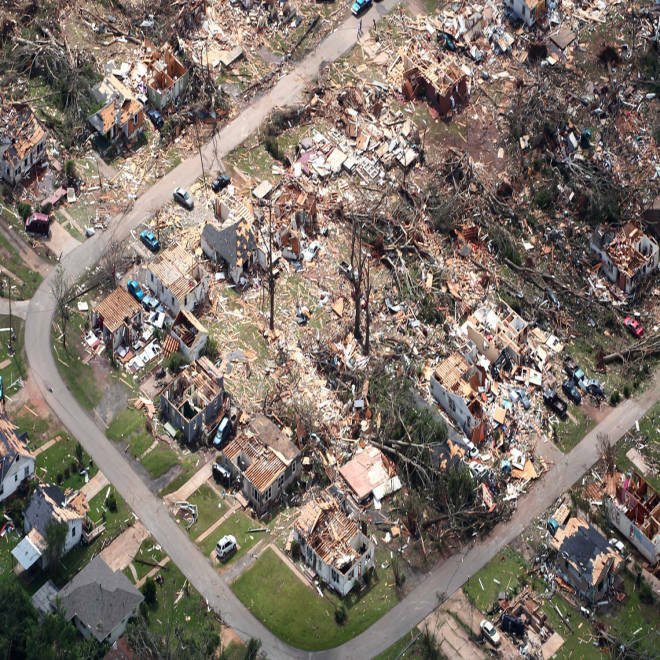 An aerial view shows extensive damage to homes in the path of tornadoes in Tuscaloosa, Ala., April 28, 2011. The F4 tornado killed 65 during a record-setting day when 200 twisters spun through the Southeast. The spring and summer of 2011 was one of the most active, deadly and destructive periods of tornado activity in U.S. history. That year there were a reported 551 fatalities and $28 billion in damages, according to the Almanac. 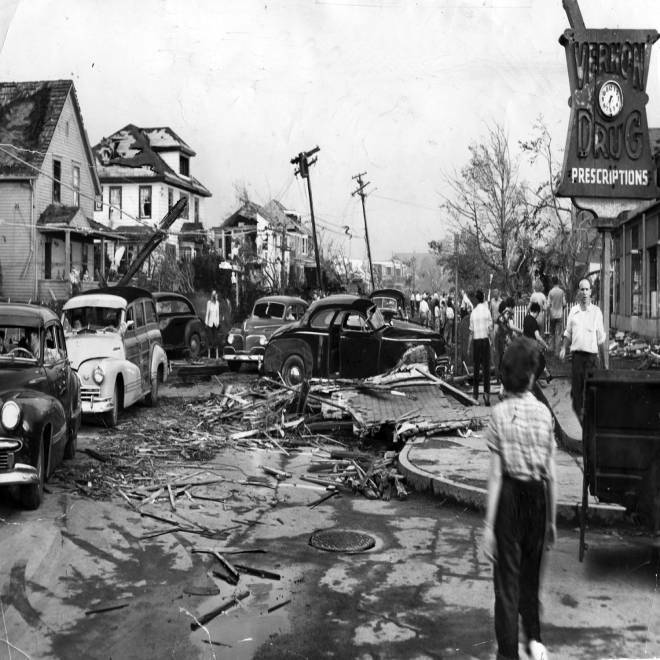 Shortly after the tornado struck in Worchester, Mass. The storm shattered homes at left and piled debris in the street. 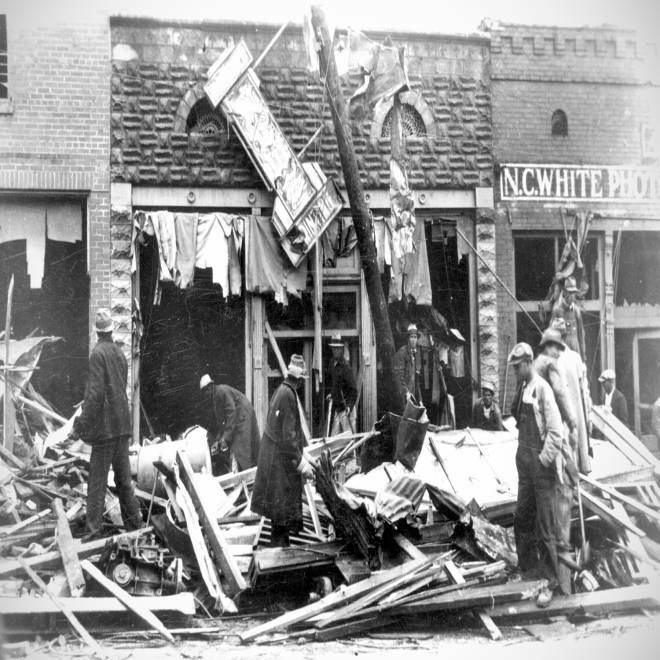 Offices along South Main Street in Gainesville following three tornadoes that touched down in the early morning of April 6, 1936. Minnie (left) and Rose Hawkins sit amid the wreckage of their home in Murphysboro, Ill., in the wake of the tri-state tornado in March 1925. 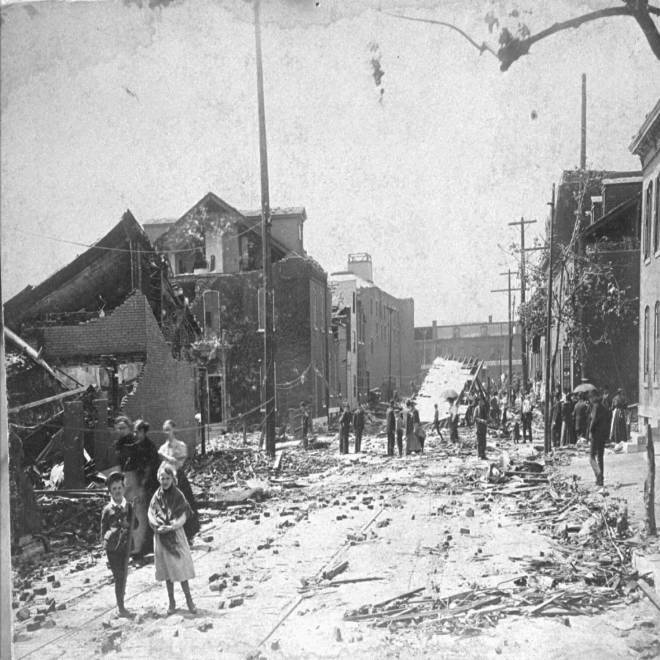 Children stand in the street near Eighth and Rutger in St. Louis after it was hit by a tornado on May 27, 1896.